Nearly a decade after the initial groundbreaking, the Panama Canal's expansion of a third set of locks is set to open to container ships (and specifically mega-ships) on June 26th. At a price tag of $5.25 billion dollars, the massive project could rewrite the map for many international trade routes. Furthermore, the expansion will undoubtedly impact supply chains in the U.S. as more businesses begin shipping through the Panama Canal to reach ports along the Gulf and East Coasts. But, what does the Panama Canal expansion mean to you and your supply chain? Due to the shorter distance, West Coast ports have long been the major gateway of choice for shippers that import from Asia. 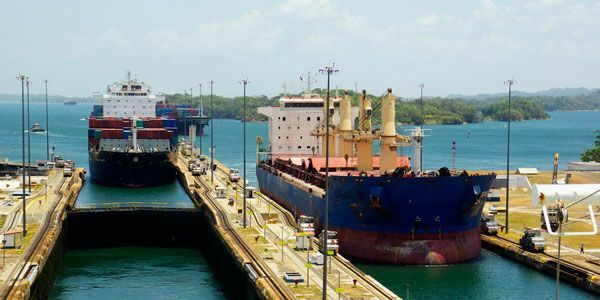 However, while shipping through the Panama Canal to the East Coast adds more days to a transit schedule, many shippers are discovering they can offset their overhead with lower ocean forwarding rates. And, as more ports along the Gulf and East Coasts increase their ability to handle mega-ships (which move greater volumes that equate to greater savings), additional cost efficiencies will develop. Unfortunately, numerous shippers learned during the 2014-2015 West Coast labor disputes that their supply chains could bend only so far to accommodate a disruption. As a result, many were forced to find costly alternatives to get their goods ashore (via solutions like expedited air). Maintaining a flexible supply chain and having triggers in place to accommodate disruptions on any coast are essentials in today's market. 1) How can you help me overcome potential port disruptions to my supply chain? 2) Can you help me with shipping through both the Panama Canal AND to the West Coast? The majority of Americans live east of the Mississippi River. That also means that a majority of your potential customers live in the Eastern U.S.! By shipping through the Panama Canal, you may actually be able to get your goods to market quicker than by moving freight inland from the West Coast. If you're considering shipping through the Panama Canal, make sure your logistics and transportation partner(s) can help you determine the best route for your goods and work with you to optimize your supply chain for the perfect balance of speed and cost. Averitt is leveraging the power of shipping through the Panama Canal and its expansion via a direct LCL service from Shanghai to the Port of Charleston where we can process and distribute your shipments through our nationwide distribution network.